If you don’t want to work with one of the commercial planning companies but would rather like a personal experience with a coordinator that you can trust then you should call Jessica Rourke. 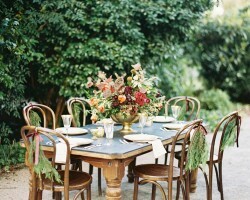 This professional wedding consultant loves everything about making a wedding come together beautifully. Jessica will offer you a custom wedding experience that will leave you in charge of making all of the decisions and leave her in charge of making your desires a reality on the best day of your life. Charleston wedding planners normally need to advertise their prices and detail every aspect of what they can provide for their customers. Ashley at Boutique Planning does not take this traditional route to show clients what she is capable of. She instead displays albums of her work and the words of the couples that she has worked with. The images of the designs and organization really do speak for themselves. They are the only proof you will need of this planner’s abilities. Whether you are having a local wedding or destination event, Embellished Events can help to make every aspect of the day unforgettable. This top rated company has been helping couples with their big day since 2010. In that these experts have built a reputation on customer service and delivering the best results. You will not have to worry about a thing when you have this team helping you to find the best venue, florist, photographer and anything else that you may need. Who doesn’t want to feel like a celebrity on their big day? When you work with Pinnacle to plan your wedding, you will not only feel totally taken care of at the actual event and party but throughout the planning. This team will work with you through the usual checklist of wedding to-dos as well as work through your special request. This will all be done in a way to keep you on budget too. 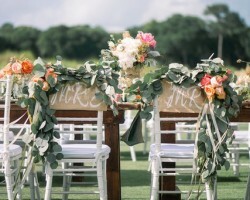 Each expert at this company is a certified organizer and consultant that can make your South Carolina wedding the best. 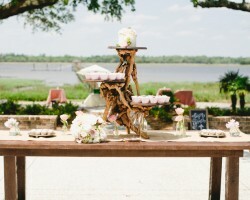 When you are looking for a wedding planner in Charleston, SC, you need someone that will talk you through the entire process and be attentive to what you want on your big day. The expert planner at Liz Ann Weddings & Events offers a free consultation so couples can get a taste of what it would be like to work with the planner and how she can meet their requests. With a record response time to your inquiries and flexibility in her work, you will love the experience of planning your wedding with Liz.